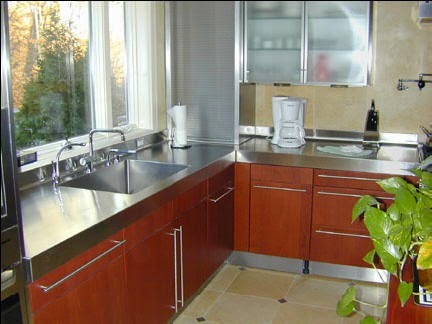 The stainless steel countertop occupies a wide niche in kitchen décor. Capable of elegance and utility, this material looks just at home in a modern apartment as it does in an industrial setting. 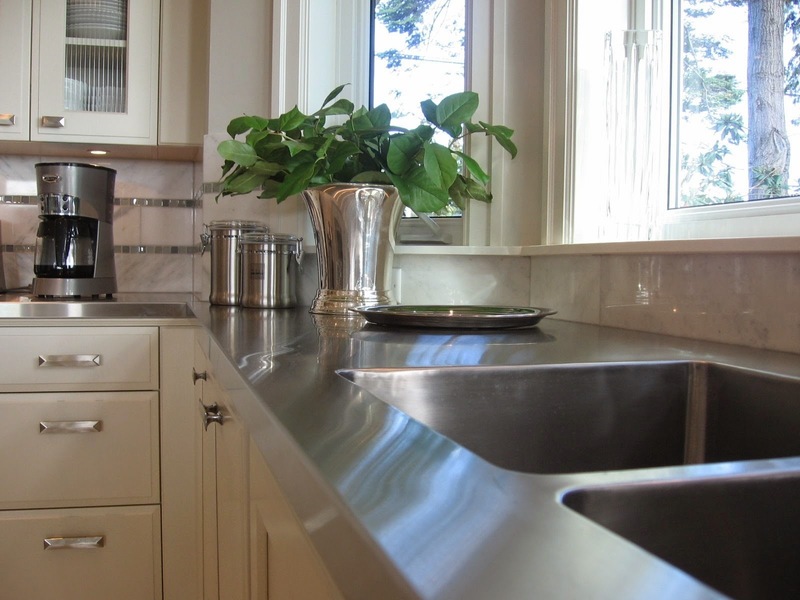 Stainless steel has a sleek aesthetic that, with the a little maintenance, always looks new. It strikes a minimalistic presence in the proper setting, and its basic appearance ensures that it will never go out of style. Conversely, it can be custom-brushed with intricate, sophisticated designs. Finally, stainless steel is renowned for its durability and ease of upkeep. 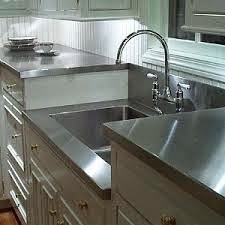 Although the stainless steel countertop is versatile, it will not fit every kitchen. You want the surface to gel seamlessly with its surroundings - otherwise it will be an eyesore, not a complementary element of the setting. Obviously, stainless steel does not go well in an older home. It can pair surprisingly well with natural materials such as wood or stone, but as with all home-decorating choices, use discretion. 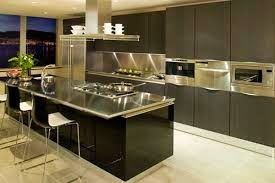 As far as concern colors, you'll want to accompany a stainless steel countertop with muted, dark or bold tones. 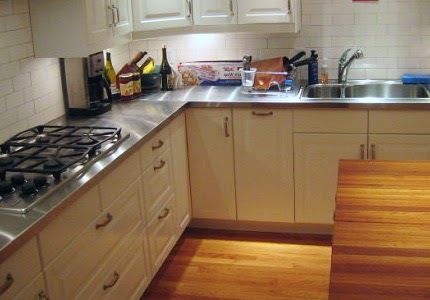 Be careful that you select the right grade of stainless steel for your kitchen. For residential countertops, 16-gauge is preferable; for industrial kitchens, 14 or 12-gauge is more appropriate. 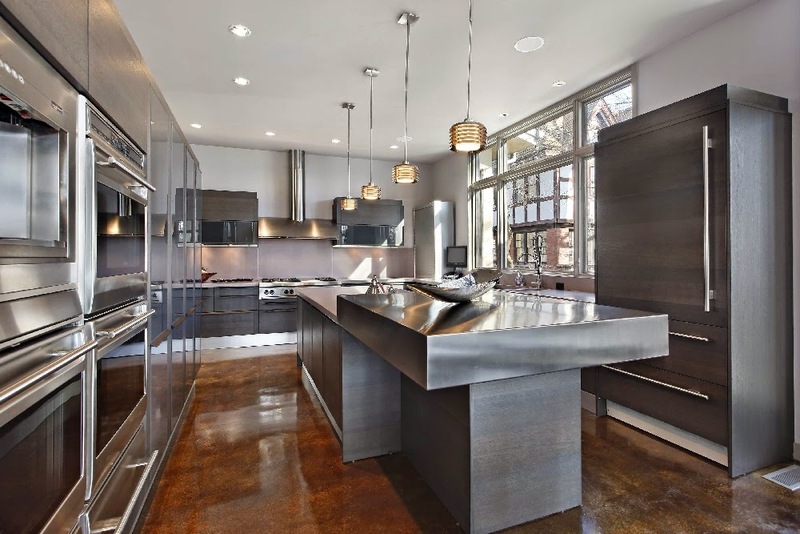 Functionally, the stainless steel countertop has a variety of appealing benefits. In addition to being sturdy and easy to clean, it is also resistant to high temperatures, making it great for stove cooking with hot metals. It can also be constructed and shaped to a variety of specifications while remaining seamless. 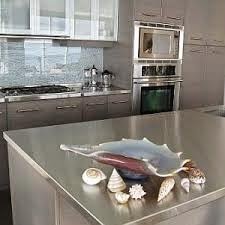 At up to $75 per square foot, however, stainless steel is expensive. Though generally durable, it is prone to occasional denting, and cutting on it will leave scratch marks. 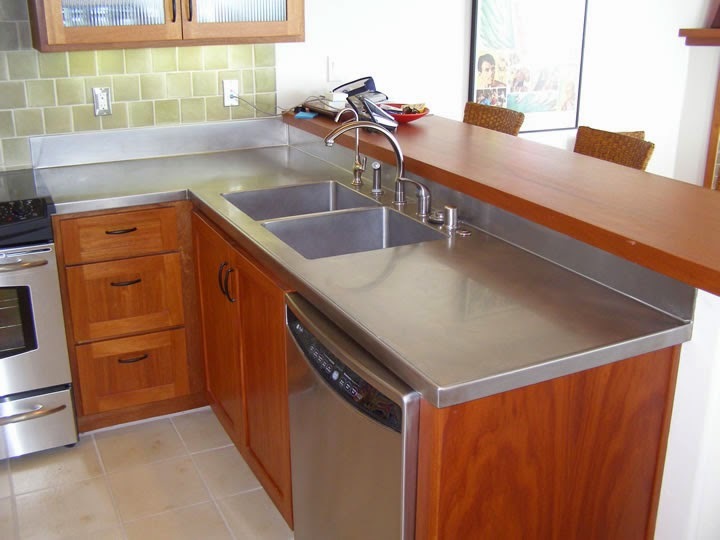 Note that "stainless steel" remains so only with regular maintenance with soap and water, or with a surface cleanser in the event of a lasting stain. Ninety percent of the installation process is proper planning and fabrication. Usually, this requires the help of a contractor. Make sure that you know the dimensions of your kitchen before submitting your desired specifications. Following fabrication, installation is as simple as fastening the countertop to the cabinet or other underlying surface with screws. 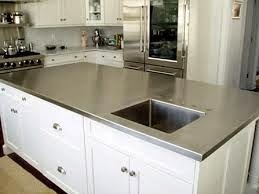 If you are after function as well as style and have a working understanding of the surrounding aesthetic, a stainless steel countertop might be the perfect way to accent your kitchen.